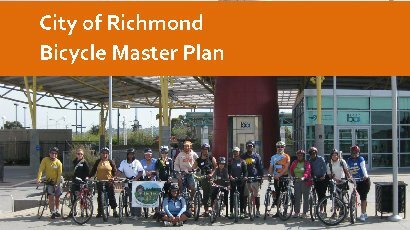 Click here for the locally stored copy of the Richmond BPAC bike plan page. Bikes? Yes! A subcommittee of the Richmond BPAC advocating for a multi-modal lane on the Richmond / San Rafael Bridge to connect the Bay Trail from Richmond to Marin. That'd be something now, wouldn't it? The Bicycling Empowerment Network - Ben South Africa Riding a bicycle is four times faster than walking and three times more efficient. Bikes keep children in school and help people get to work more easily. South African health care workers on BEN-bikes now see 500 to 550 patients a month compared with the 100 - 200 patients they were able to serve on foot. Capital Bikeshare puts over 1,200 bicycles at your fingertips. You can choose any of the 140 stations across Washington, D.C. and Arlington, VA and return it to any station near your destination. National Complete Streets Coalition - Instituting a complete streets policy ensures that transportation planners and engineers consistently design and operate the entire roadway with all users in mind - including bicyclists, public transportation vehicles and riders, and pedestrians of all ages and abilities. Sheldon Brown's Bicycle Technical Information Tony, who is a master mechanic himself, sez, "It's a great resource for do-it-yourself bike maintenance and modification, with an emphasis on utility, recreational riders and stuff A-Z. "Bicycle riding is often very therapeutic for arthritis. Most of the weight during bicycle riding is put on the seat so the knees and hips get moving pretty fast with little pressure on them. Why is the bicycle the most efficient way to travel? Craig is all about scouting and bikes.